Decorative concrete has been around since the 1950’s in the form of colored concrete. It was created through an idea to add synthetic iron oxide to the original bland, gray concrete mix. After adding this substance, it became possible to create concrete with a variety of earth-like colors. Since then, concrete workers have adopted new approaches for decorating concrete. The market for decorative concrete has increased as well. Today, it is possible to make concrete look like expensive cobble stone or brick, making decorative concrete a more cost-efficient material. Decorative concrete is becoming increasingly popular for concrete patios, floors, pool decks and similar projects. Concrete is now being seen as an art with the different methods of decorating it. The transformation of concrete into decorative concrete is achieved through the use of a variety of materials that may be applied during the pouring process or after the concrete is cured. These systems include colored concrete, stamped concrete, the use of a decorative overlay, and polished concrete. Stamped concrete is another prevalent decorative concrete method. This is the process of adding texture to concrete, usually to make it resemble stone, wood, tile, and many more products. This is done after the concrete has begun to set, and a concrete stamping tool is used to give it a texture that the customer wants. 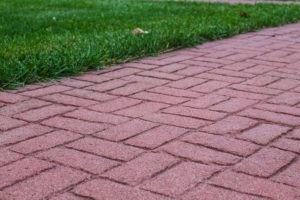 Many homeowners enjoy applying stamped concrete in their homes because of the cheaper cost and the wide array of options, and the contractor can enjoy an easy choice for new construction and renovation projects. Stamped concrete can also be applied to colored concrete. Another decorative concrete application is the use of an overlay. This can greatly increase the performance characteristics of concrete materials. They provide durable renovation without the need for continuous repairs of concrete surfaces. One more decorative concrete application is the process of polishing the concrete. The concrete can be polished with a mechanical grinder or diamond pad. This gives the resulting product a hard-glassy finish. A combination of the methods of decorative concrete can create even more intricate designs. It is possible for decorative concrete to go awry. A handful of aspects must be controlled in order for the concrete pour to go correctly. The most critical factor that must be closely monitored is the ratio of water to cement. Controlling the amount of water added to a decorative concrete mix is integral to producing a consistent colored concrete. Adding water permanently changes the color of the concrete; water makes the concrete color lighter. 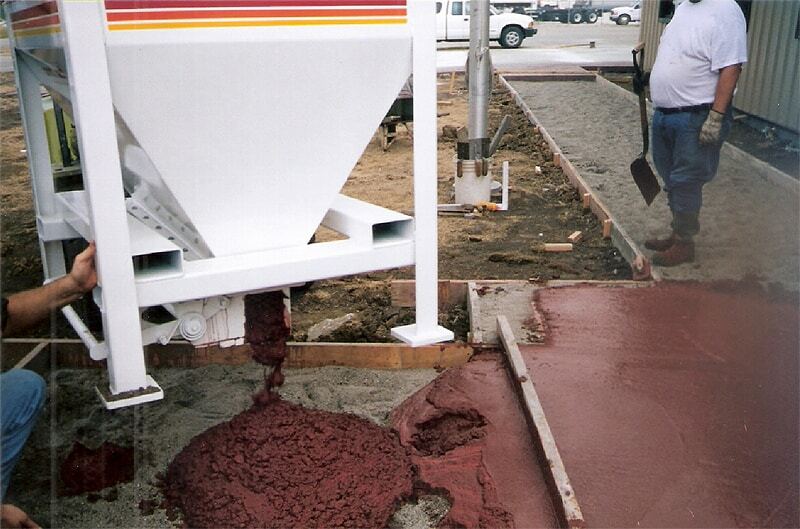 Another factor to be monitored is the role that gray cement plays in the final color of the decorative concrete. The color that one adds to the concrete mix must overpower the color of the original concrete, and together the cement and concrete create the final color. These two factors fortify the importance of maintaining batch-to-batch consistency. Volumetric mixers eliminate these problems because they create a consistent mix with each batch produced. Some volumetric owners have discovered that colored concrete can be extremely lucrative and compliments their normal operations by providing specialty concrete. This specialty concrete can also be a competitive advantage between two similar businesses by creating a new niche market of customers and providing high returns for the service. If you have any questions about colored concrete, decorative concrete, or creating a homogeneous concrete mix, call Cemen Tech at 1 800-247-2464 or email us today!